Editor's Note: This story is no longer being updated. Please see here for more coverage. Three girls, all younger than 10, were found slain Friday morning inside a home in Clinton, Maryland, police said. 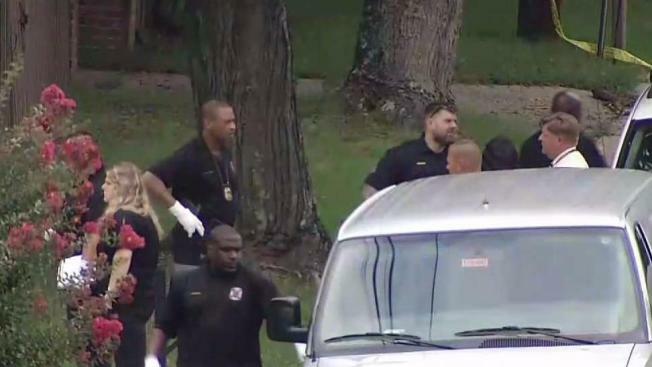 An adult family member arrived at the home Friday morning and found the children dead in the house, located on the 6400 block of Brooke Jane Drive, Prince George's County police said. Police announced late Friday night they arrested Antonio Williams, 24, in the killings. Williams is a resident on the same block of Brook Jane Drive, police said. A community is shocked and worried after three little girls were killed at a home in Clinton, Maryland. News4's Darcy Spencer and Jackie Bensen have team coverage. Williams has been charged with three counts of first-degree murder and three counts of second-degree murder. Authorities released no further details about Williams' arrest but said the department would hold a news conference at 11 a.m. Saturday. "We are now in the midst of a major investigation into what happened to these children and who killed them," police department spokeswoman Jennifer Donelan said earlier Friday. Police stressed at an afternoon press conference that they believed the incident was confined to that home, and there was not a danger to the larger community. 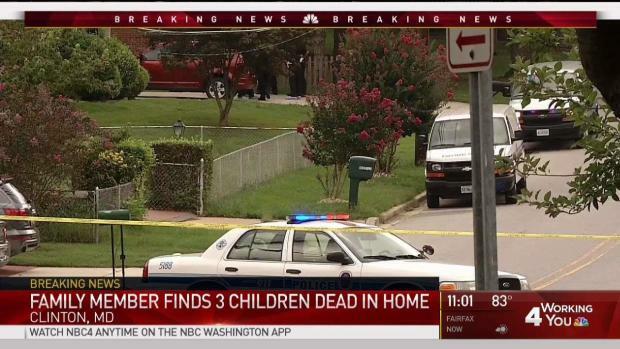 A family member found three children dead in a home in Clinton, Maryland, early Friday. News4's Megan McGrath reports live from the scene. Police said they were called to the house shortly after 7:35 a.m. They were met by people who they called "members of the family." Inside the home, they found the girls with "trauma to the body," Donelan said at the press conference. 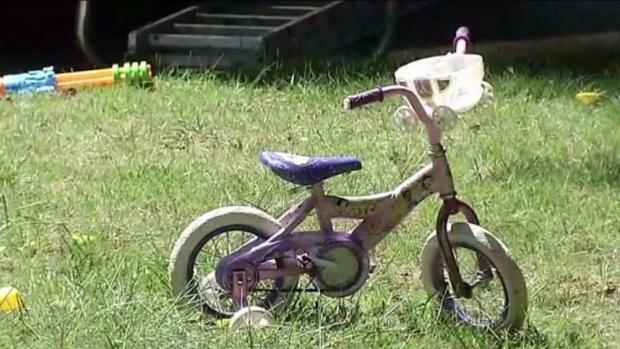 Police said they couldn't confirm if the girls are related or how they knew each other. Citing the ongoing investigation, they also wouldn't say what had happened to the family members at the scene that morning. More family members of the victims are being contacted. "We believe we have made contact with a parent," Deputy Chief Sammy Patel said. The scene was heartbreaking to police. Counseling services were being offered to those who responded to the home. State's Attorney Angela Alsobrooks said Prince George's County had woken to "yet another nightmare." "We are so very, very devastated for these young, beautiful children and their families," Alsobrooks said.